A good news to all the Hello Kitty fans out there! 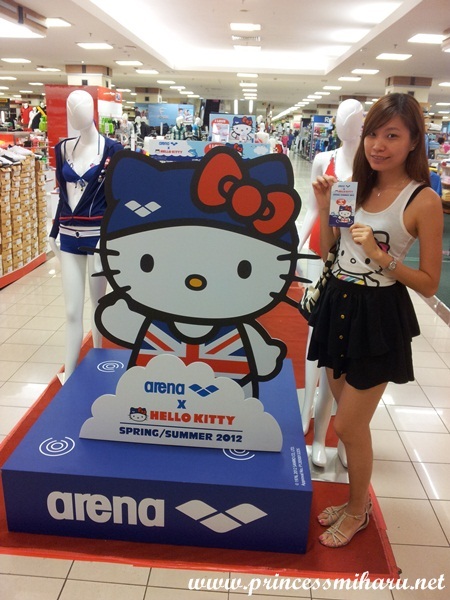 Sun Paradise is presenting the Arena Hello Kitty Roadshow at Midvalley from July 2nd to 15th. Thou its website said that the roadshow is located near Watson, is actually located at AEON, besides Watson. =.=" Because my mindset is that roadshow should be very huge, in the centre court, or east atrium, or west atrium. Hence, I spent quite some time searching for the so-called roadshow. 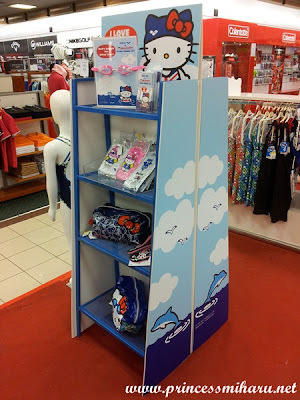 And when I found Watson, I saw Arena Hello Kitty collection displayed at the entrance of AEON. 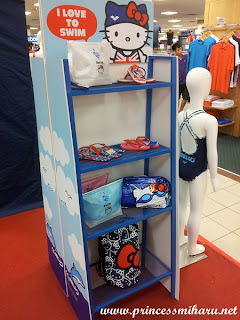 Exciting colors, designs, comfort and fit are the hallmarks of Arena Hello Kitty collection. You can find ladies and ladies junior swimsuits, and also accessories, such as silicone cap, swim goggle, cosmetic bag, towel, and sandal. ATTENTION to J Card holders and Hong Leong Bank Kitty card holders!!! Each of you will enjoy a 10% discount on purchase, if you have both of these cards, you will have a 20% discount on purchase!! Wait no more!! Head to Midvalley now and grab your favorite Arena Hello Kitty swimwear!! For more information, please visit Sun Paradise website at www.swimsuit.com.my . Hahahaha! 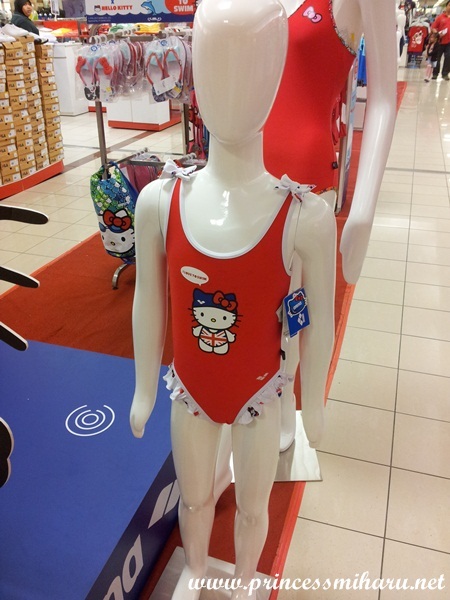 I'm sure we'll see you wearing this at the next pool party! LOL! I wish! But I eyed on the most expensive one!! T_T still considering whether to buy it, well, since I don't know how to swim. =.="